A native of Russia, violinist Galina Zhdanova began studying the violin at the age of five. At the age of fifteen she won the First Prize at the International Violin Competition in Tokyo, Japan. Since then she has participated in numerous music festivals and concerts all around the world. In 2004 Ms. Zhdanova was appointed Assistant Concertmaster of the Bayreuth Festival Youth Symphony Orchestra under conductors Peter Gulke and Joseph Schwab. A graduate of the St. Petersburg Conservatory, where she studied with a renowned violinist Mikhail Gantvarg, she has also studied with Daniel and Todd Phillips (of the Orion Quartet) and Grigory Kalinovsky. Ms. Zhdanova is a versatile musician, at home in worlds of classical, contemporary, and popular music. Her performances have taken her from Bargemusic and Carnegie Hall to Madison Square Garden, the Boardwalk Theater in Atlantic City, the IZOD Arena, and television appearances on Good Morning America, The View, and the Rachel Ray Show. Ms. Zhdanova has played with Josh Groban, Steven Tyler of Aerosmith, Sarah Brightman, David Byrne (Talking Heads), and The Trans-Siberian Orchestra. She frequently performs with the Key West Symphony and Symphony in C. Ms. Zhdanova plays on an 18th century Italian violin. Grammy Award-winning cellist Sara Sant'Ambrogio first leapt to international attention when she was a winner at the Eighth International Tchaikovsky Violoncello Competition in Moscow, Russia. As a result of her medal, Carnegie Hall invited Ms. Sant'Ambrogio to perform a recital that was filmed by CBS News as part of a profile about her, which was televised nationally. 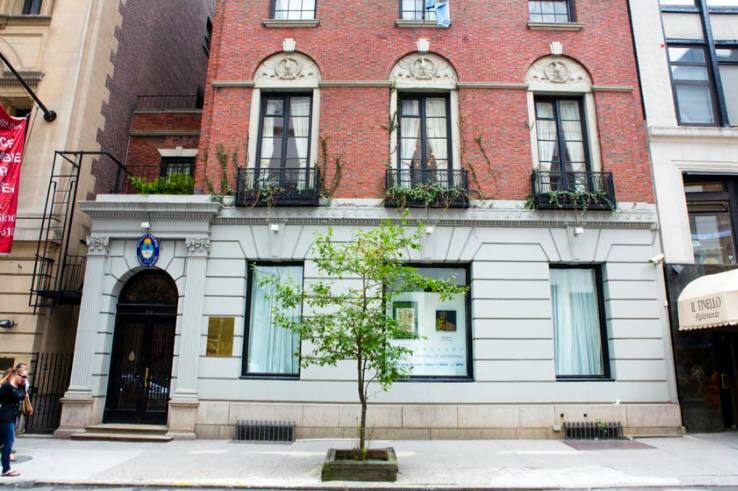 The New York Times described Ms. Sant'Ambrogio's New York debut as "sheer pleasure," saying “There was an irresistible warmth in everything Miss Sant’Ambrogio did." Ms. Sant'Ambrogio has appeared as a soloist with such orchestras as Atlanta, the Beijing Philharmonic, Boston Pops, Budapest, Chicago, Dallas, Moscow State Philharmonic, the Prague Chamber Orchestra, the Osaka Century Orchestra (Japan), The Royal Philharmonic, St. Louis, San Francisco and Seattle; she has performed thousands of concerts on six continents at the world’s major music centers and festivals including Aspen, Concertgebouw in Amsterdam, Hollywood Bowl, Lincoln Center, Kennedy Center, the Konzert Huset in Stockholm, Marlboro, Mostly Mozart, Musikverein in Vienna, Ravinia, Orchard and Suntory Halls in Tokyo and Great Mountain Festival in Korea. Always looking to push the boundaries of classical music, Sara has performed with Sting, Trudie Styler, and Joshua Bell in the production of “Twin Spirits,” the story of the love affair between Robert and Clara Schumann. The Los Angeles Times said, “Joshua Bell and Sara Sant’Ambrogio played with lyrical restraint and lovely tone.” A track from Sara’s solo cd, "Dreaming," was featured as the opening soundtrack of the HBO award winning documentary, "A Matter of Taste" and another was featured on the soundtrack for the documentary “Jones Beach Boys.” Most recently her recordings were featured in the documentary “Kiss The Water.” Miss Sant'Ambrogio has also collaborated with the New York City Ballet in seven highly successful sold out concerts at Lincoln Center performing The Bach Cello Suites and has performed with Rufus Wainwright in the inauguration of a new concert series at the National Arts Club in New York City. 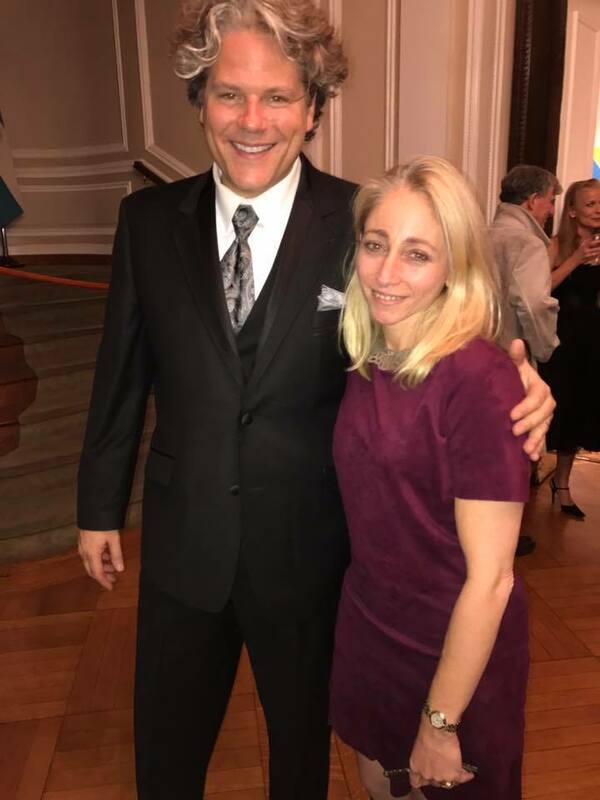 Ms. Sant'Ambrogio started cello studies with her father John Sant'Ambrogio, principal cellist of the St. Louis Symphony, and at the age of 16 was invited on full scholarship to study with David Soyer at the Curtis Institute of Music where she received her High School Diploma. Three years later world renowned cellist Leonard Rose invited Ms. Sant'Ambrogio to study at The Juilliard School; within weeks of arriving, she won the all-Juilliard Schumann Cello Concerto Competition, resulting in the first of many performances at Lincoln Center. 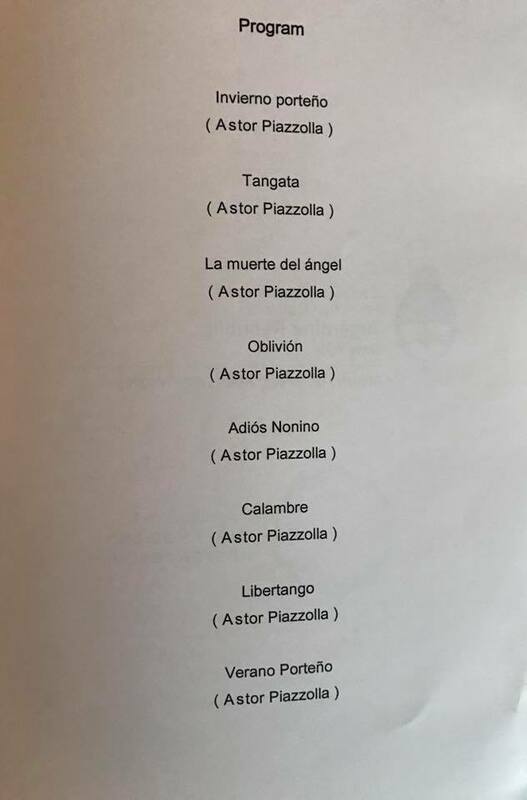 In addition to the Tchaikovsky Medal, Ms. Sant'Ambrogio has won numerous international competitions, including The Whitaker, The Dealey, Artists International, and Palm Beach awards. Ms. Sant'Ambrogio won a Grammy Award for her performance of Bernstein's "Arias and Barcarolles" on Koch Records. Ms. Sant'Ambrogio has been profiled in Strings, Glamour, Gramophone, Vogue, Strad, Elle, In Fashion, Bon Appetit, Detour, Travel and Leisure, Fanfare and Swing magazines, as well as The New York Times, The Wall Street Journal, USA Today, on CBS, ABC, PBS, Fox, USA and CNN networks. Ms. Sant'Ambrogio is the subject of a feature length documentary, which has had multiple airings nationwide on PBS and international networks. She currently has 4 music videos playing on Classic FM TV in the UK and Europe and dozens of other videos on online networks. 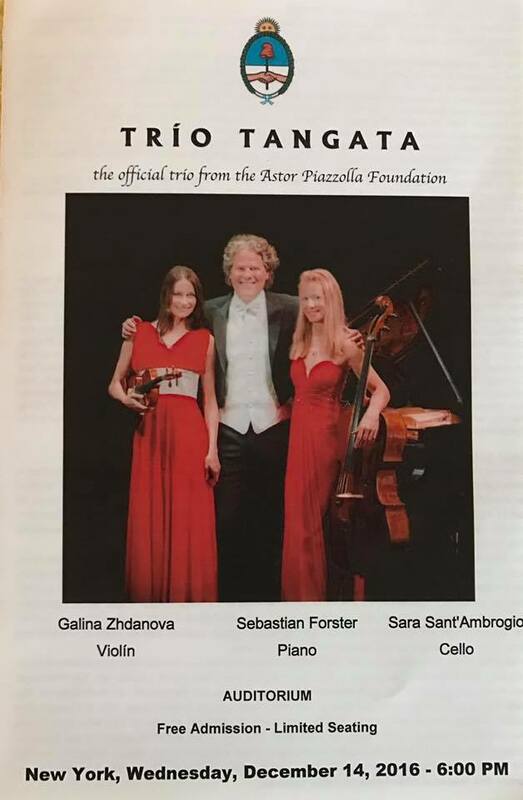 New York - based Tangata Trio is an official trio of Astor Piazzolla Foundation and has been endorsed by the composer's wife and the president of the foundation Laura Piazzolla.